Just 90 minutes from the Auckland harbour bridge, modern and spacious two bedroom waterfront apartment. Majestic views of the harbour from the lounge and main bedroom. WIFI, SKY TV and Netflix for your entertainment. Step outside onto the sunny deck surrounded by lovely gardens. Enjoy a barbecue and watch the sun go down or take a walk along the beach at low tide. FREE use of 2-man Kayak and dinghy. Small boats can be easily taken to the beach via our boat ramp. There is a fish filleting outdoor bench and boat cleaning facilities. Outside power point for charging electric vehicles. The unit is close to Marsden Cove marina and boat launching facilities. There are fishing charters available also at the marina with cafes and restaurants nearby. Surf beaches at Ruakaka and Waipu are only a few minutes drive away with their own cafes, restaurants and markets, and a modern golf course. Whangarei city is only a 25 minute drive away with many attractions including Whangarei Falls and the Town Basin Marina in the heart of the city. Boutique shopping and several walking tracks are in this area and popular weekend markets are only a short walk away.Toll Stadium sports complex and events centre also only 25 minutes away. While you are here, check out the Tutukaka Coast or Whangarei Heads. Both are unique and stunning in their own right and provide a nice day out. Further North, the spectacular Bay of Islands will not disappoint! Rich in history and known around the world for deep sea fishing and diving, wonderful scenic reserves and marine life. A variety of popular excursions leave from Paihia every day. Russell is an engineer and Michelle works at a local primary school. We enjoy most sports, fishing, music, property development and spending time with family and friends! We know the area well as we have lived in the district for most of our life. We chose to live in this area because it offers a relaxed lifestyle yet is still handy to town, work and family. View of rolling hills of nearby farmland. Safe swimming beach directly in front. Elevated 180 degree view of the beautiful Whangarei Harbour. Just 30 steps to the water's edge. Well-stocked with most things you would need in your home. Fully equipped with everything you would have at home. New deck and seating in garden setting with great water views! We really enjoyed our stay at Russel and Michelles place. The kitchen was very well equipped and we had dinner every night on the terrace. Thank you for your comments. We enjoyed meeting you. This property is amazing, sitting on the deck enjoying the sunset, it’s so easy to relax . Robert and his wife are the perfect hosts, we felt very welcomed and right at home. We stayed at a lot of nice places in NZ , but this one is our favorite one. Thanks Bettina, We enjoyed meeting you and your daughter and are glad you enjoyed your stay. Splendid property, extraordinarily well appointed and maintained. Russell and Michele provide help as needed and are respectful of guests' privacy. Thanks for that. We are glad you enjoyed your stay. Hope to see you again some time. Thanks for that. We were very happy with the guys and would be happy to host again. The location and views are stunning. The location and views are stunning. The apartment is of a very high standard. We would stay there again without hesitation. Thanks very much. Really glad you enjoyed staying here. Thanks Jennie. Hope to see you again some time. 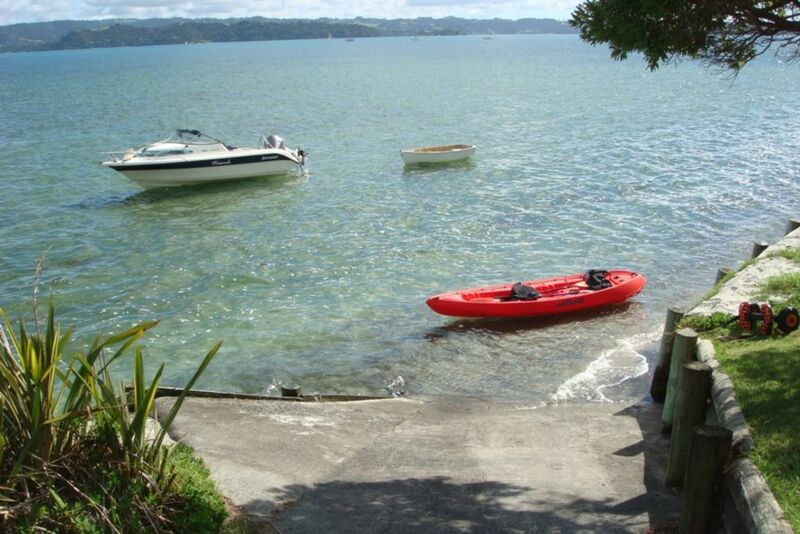 Our waterfront apartment is situated in a quiet coastal community with a small town centre 8 kilometres away and just 25 minutes from the northland city of Whangarei.